Details on these conferences will be provided shortly. The National Investment Commission has updated the list of investment opportunities available in their investment map. These opportunities cover various economic sectors and have been contributed by the Ministries and provinces. 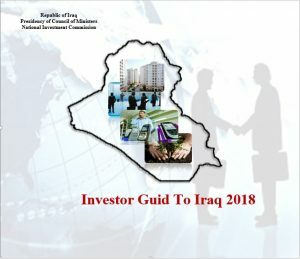 The original list was created in April 2009 and has been updated in preparation of the Iraqi-US Investment Conference to be held in Washington DC from October 20th-21st. The investment map includes a list of more than 750 opportunities covering all economic sectors. In terms of the number of opportunities available, the industry and manufacturing sector accounts for 30.5%, followed by youth and sports sectors (13%), health (12%) and transport, housing, and agriculture (7.5% each). Service projects accounted for 6%, with electricity and tourism projects each accounting for 5% . 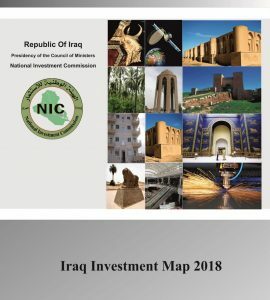 The NIC is proud to announce that last week the Iraqi Parliament has reviewed and approved the first draft amendment to Investment Law 13. 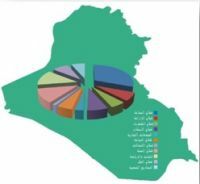 The amendment contains many important aspects that will foster investment in Iraq including the ability for foreigners to own land for the purposes of housing projects; placing the land designated for investment projects under the authority of the NIC instead of different ministries. Additionally the amendment details the organization and support to the Provincial Investment Commissions and as well as securing privileges for public and private partnerships especially those partnering with State Owned Enterprises. The amendment also waives the authority of Law 32, 1986 for all investment projects. Under the title (translation environment your business to a successful strategy to invest in the provinces), the Office of Private Sector Development at the U.S. Embassy in collaboration with the Center for International Private Enterprise (سايب CIPE) workshop booster for members of investment authorities in the provinces for the period 5-6 / 10/2009 has A delegation from the National Investment Commission, headed by Mr. Vice President of the Salar Mohammed Amin professor and membership Dr. Ikram Abdulaziz, Director General of the Department of Economic and Mr. Firas Hrbun, supervisor of the Provincial Coordination Section and some employees of the body. The workshop was attended by representatives of the investment bodies in the provinces and Mrs. John Reid, Senior Advisor – Office of Private Sector Development in the embassy Amartikih, and this workshop aims to draw a roadmap enables members of the investment bodies of crystallizing an effective strategy to invest in their home provinces, through a series of presentations that are based on enhance the understanding of members of the investment in the provincial bodies for their role in the context of the world’s leading practice and lessons learned with the definition of axes develop a successful strategy to invest in the provinces as well as understand the characteristics of business environments in the Iraqi provinces and methods of analysis and comparison measurement reference point and arranged according to its status. Also included presentations also assess the business environment through surveys and global business indicators and improve the local business environment through the world’s leading practices. This has opened the Vice-President of the Commission agenda, a speech in which he praised the efforts made by the Office of Private Sector Development at the U.S. embassy in promoting the work of Government investment and the importance of this workshop in shaping the perceptions of members of the Government investment in the provinces. 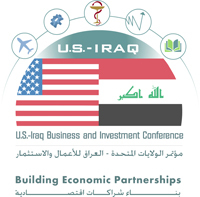 Private Sector Development Office at the U.S. Embassy in Baghdad, in cooperation with Center for International Private Enterprise (CIPE), hosted a workshop focusing on successful investment strategies for Iraqi provinces. Members of Iraq’s Provincial Investment Commissions (PICs) were the target audience during this two day seminar (October 5-6th, 2009). A delegation from the Iraqi National Investment Commission (NIC) headed by the Deputy Chairman Dr. Salar Mohamad Ameen was accompanied by Dr.Ekram Abd-Alaziz, Director General of the NIC Economic Department, and Mr. Firas Harboon, the Director General of Provincial Coordination, as well as other NIC staff members. The presentation included an evaluation of business environments through surveys of global business as well as case studies exploring the improvement of local business using international best practices. The Deputy Chairman, Dr. Salar, opened the workshop by praising the efforts of the Private Sector Development Office at the U.S. Embassy, particularly in reinforcing the work of the PICs. He also discussed the importance of the workshop to the PIC members and the benefit brought by gathering them this central location to learn together.